The global industrial robotics market will reach $41.23 billion by 2020, and will expand at a compound annual growth rate of 7 percent, according to a new report by Grand View Research, Inc. The automotive industry's rapid expansion is stoking growth of the market, reads the report, which highlights the role robots are playing in the evolution of "a new ecosystem characterized by lucrative, rewarding, and high-paying jobs." Read more. Bid Now! Featured items include English Works Boilers, Substations, Switchgear, Motor Control Centers, Chillers, Filter Presses, Generators, Compressors, much more. • Inspection – Monday to Wednesday, June 11 – 13 – by appointment. Everyone is talking about IoT and Industry 4.0. But in reality many manufacturers find it difficult to identify how the concepts can be applied to their business. 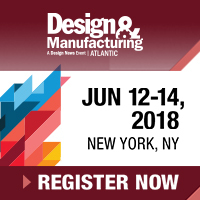 Learn how 3 manufactures have taken a practical approach to IoT by starting modestly and growing into deployments that deliver a strong ROI. Download the whitepaper. Manufacturers project record-setting growth rates through this year and early into 2019, according to a National Association of Manufacturers survey showing production rising 5.5 percent, full-time employment increasing 2.9 percent and capital expenditures jumping 3.9 percent. Read more. Admiral Steel, an Alsip, IL-based provider of high-carbon spring, strip and alloy steels, received the President's Award for Commitment from SRI Quality System Registrar, Seven Fields, PA. Read more. 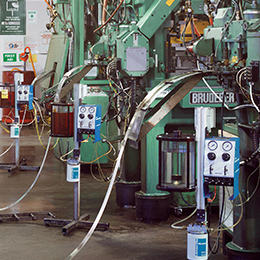 Weld Mold Co., Brighton MI, gained ASM International's Historical Landmark Award for 2017 for innovating the flood-welding process for weld repair of dies. Read more. Newcomb Spring Corp., Alpharetta, GA, accepted a Siemens Supplier Excellence Award for 2017. Read more. 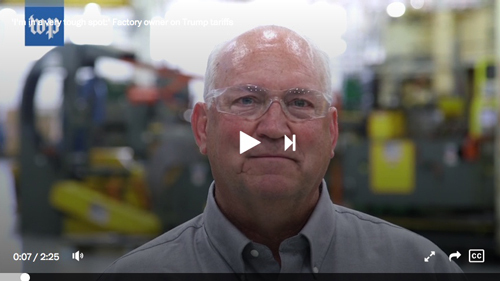 Longtime PMA board member and president of Cleveland-based Stripmatic Products, Bill Adler, recently shared with the Washington Post what the Trump administration's tariffs on imported steel and aluminum may mean for metalformers. 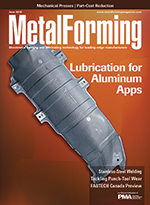 Selecting the right lubricant for aluminum stamping helps ensure maximum performance in the press, as well as compatibility with the aluminum alloy at hand, and ease post-processing work, such as welding. The ability to ease vibration and limit snapthrough shock, while optimizing stroke lengths and speeds, means longer tool life and greater throughput. 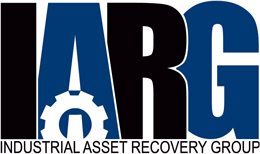 See also: Nordson EFD, LLC, IQMS Manufacturing ERP & MES, Bihler of America, Inc.